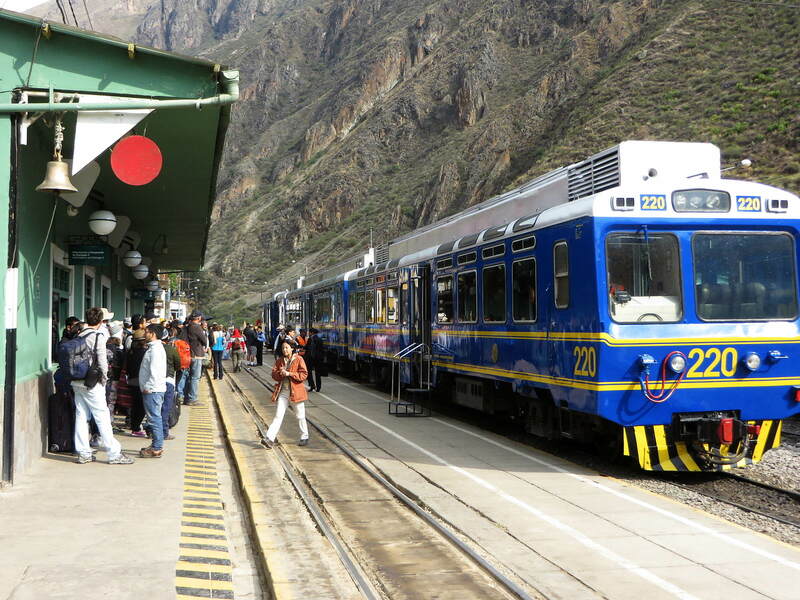 This is your end station of the tourist trains to Machu Picchu and the port of entry for the monument. For decades this little village was a boring sleep town, until all of a sudden, the sleeping beauty woke up to become one of the most outgoing places in Peru, second only to the Barranco neighborhood in Lima. 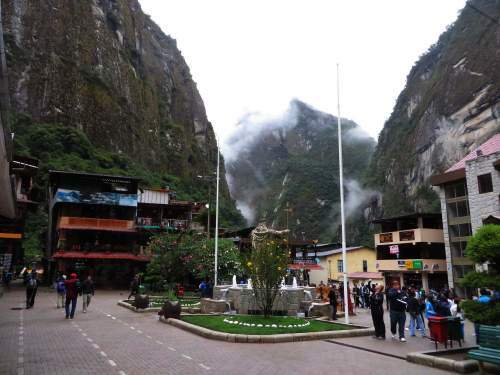 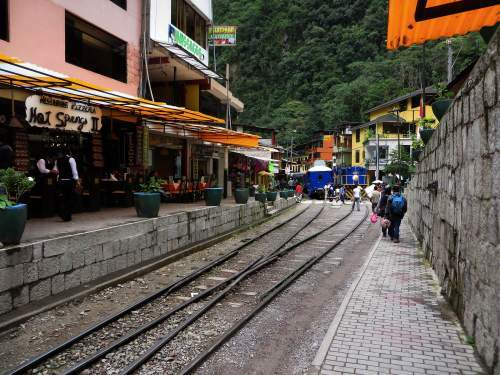 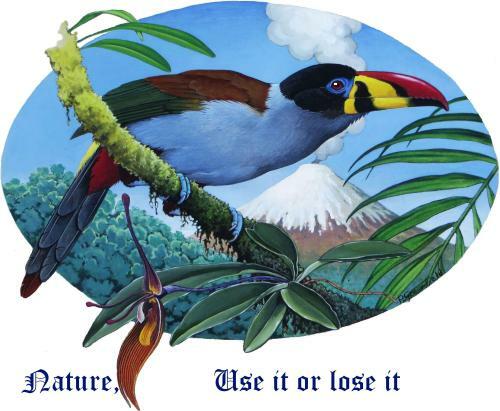 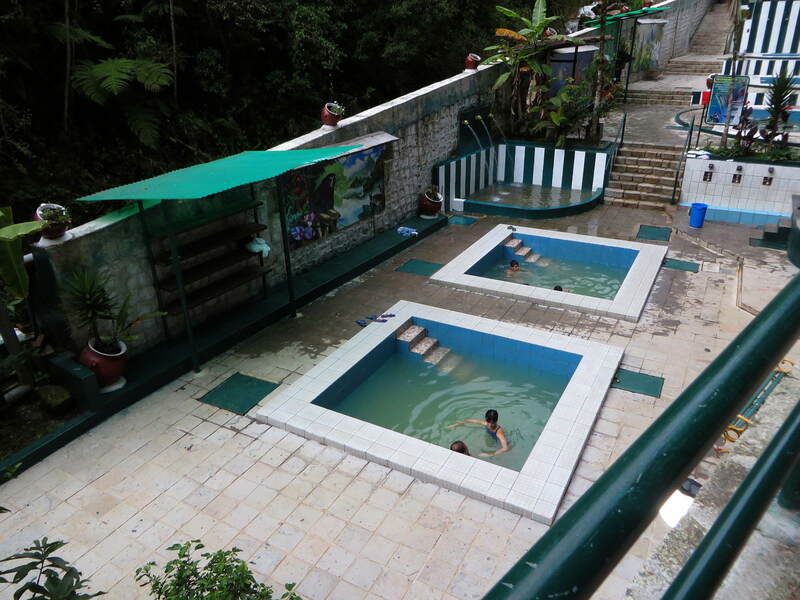 What to do in Aguas Calientes, Peru? 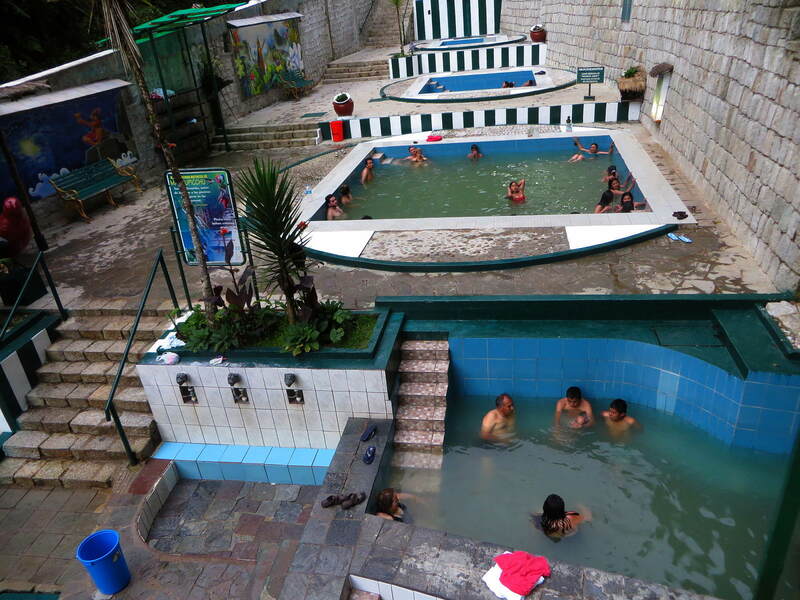 Meaning "hot waters" the little town is totally stuck between the Vilcanota River and the canyon wall of the Vilcanota River canyon and given the limited space, everything is narrow. 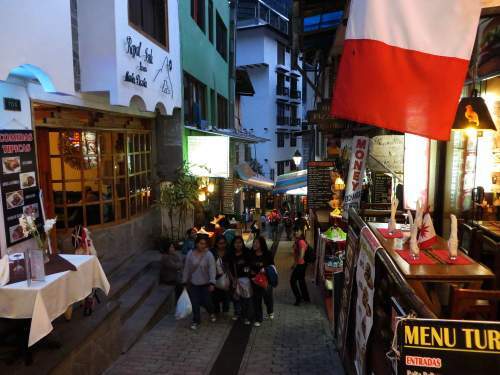 The town is quite small with a small plaza and a church in the center, while all accommodation are within walking distance of the train station. 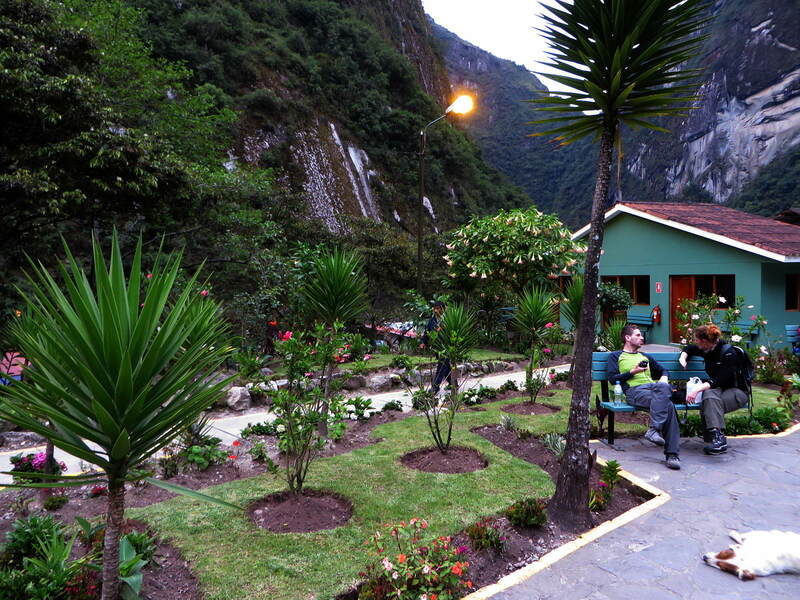 Most visitors arrive in Aguas Calientes, to spend the night there and take the 20 minutes bus to Machu Picchu at a distance of 6km over a hairpin mountain road, but there is an amazingly pretty trail through the cloud forest that will take about an hour and half to get you there. Called after its hot spring baths, many people enjoy soaking after arriving on the train, have a massage in one of the many massage parlors in the village before going out in one of the many cozy and reasonably prized restaurants along the pedestrians promenade. 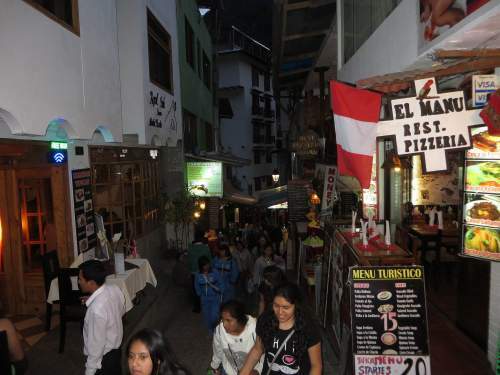 "Main Street" is a narrow pedestrians only alley through town. The "road" in the village is lined by countless little nicely-priced restaurants where people go out for dinner in the evening. 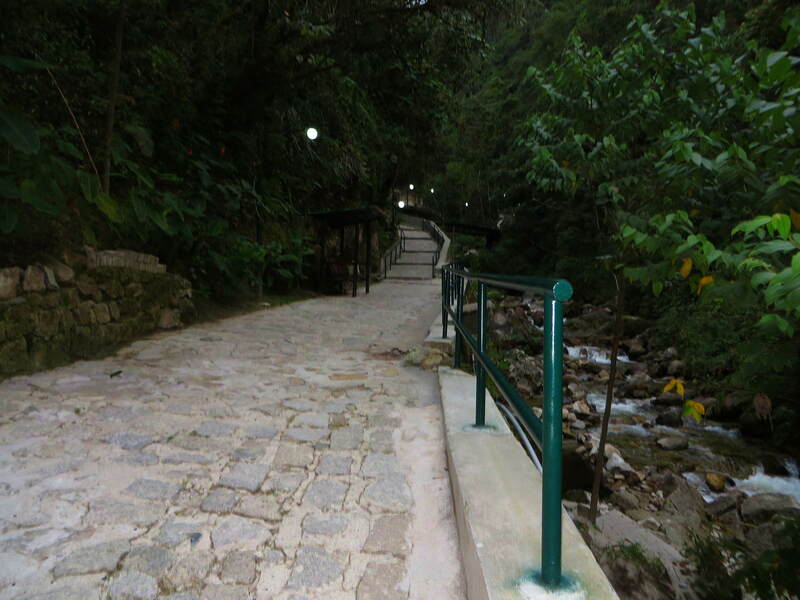 Aguas Caliente trail to the hot springs. 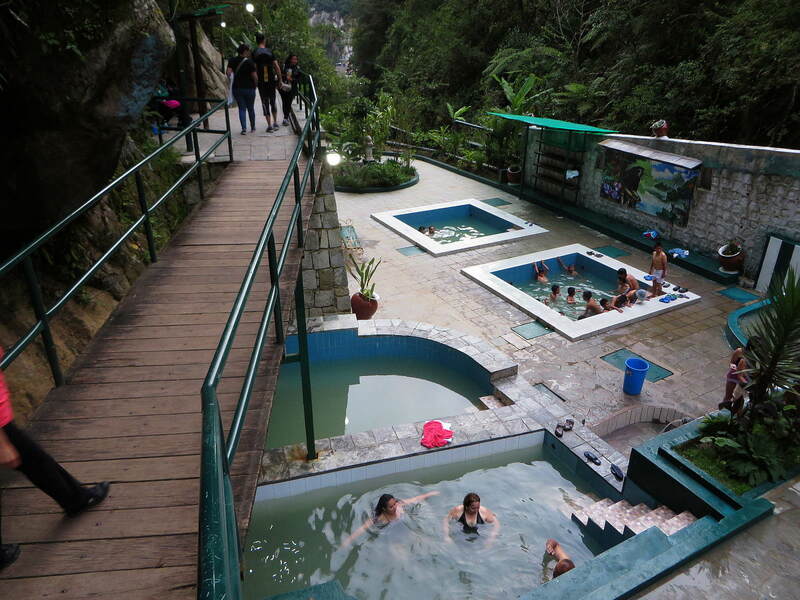 A beautiful 10 minutes hike along Machu Picchu's rock facade gets you to the hot baths, where you can soak and have a massage before going for dinner "down town". 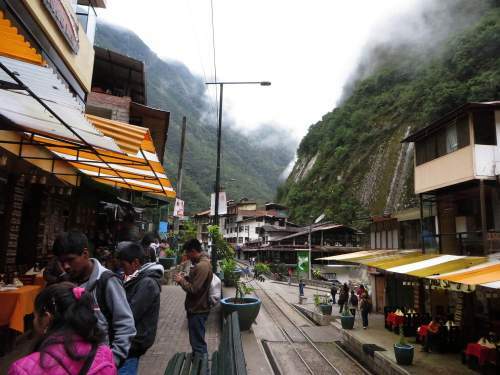 Plaza central of Aguas Calientes. 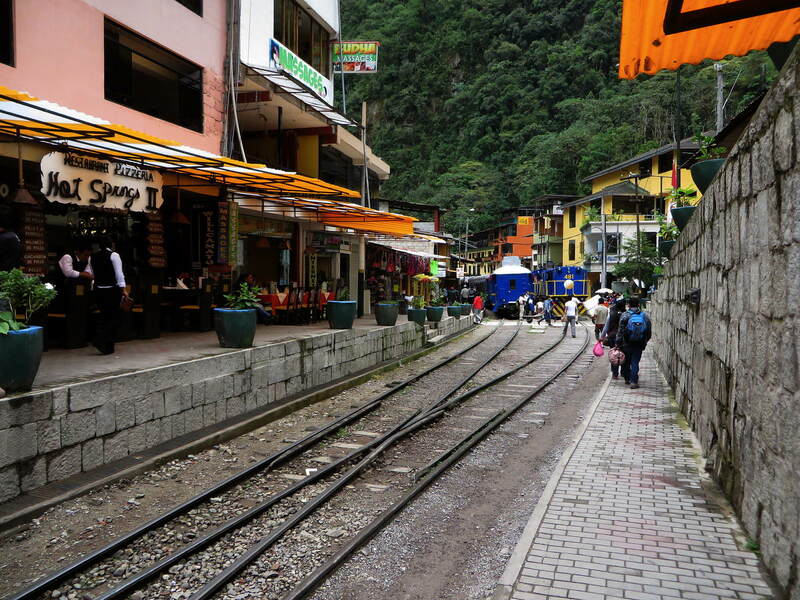 Waiting space at the railroad station. 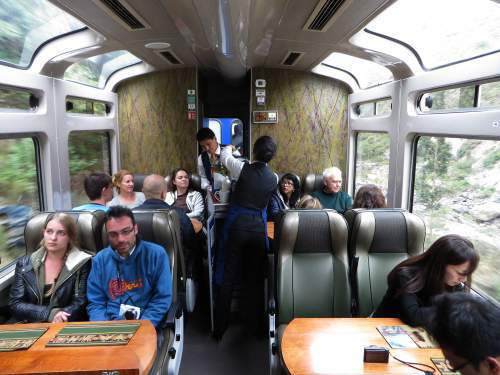 Machu Picchu second class - the regular tourist class - tourist train takes passengers from either Cusco or Ollantaytambo to do things in Aguas Calientes, Peru and back.